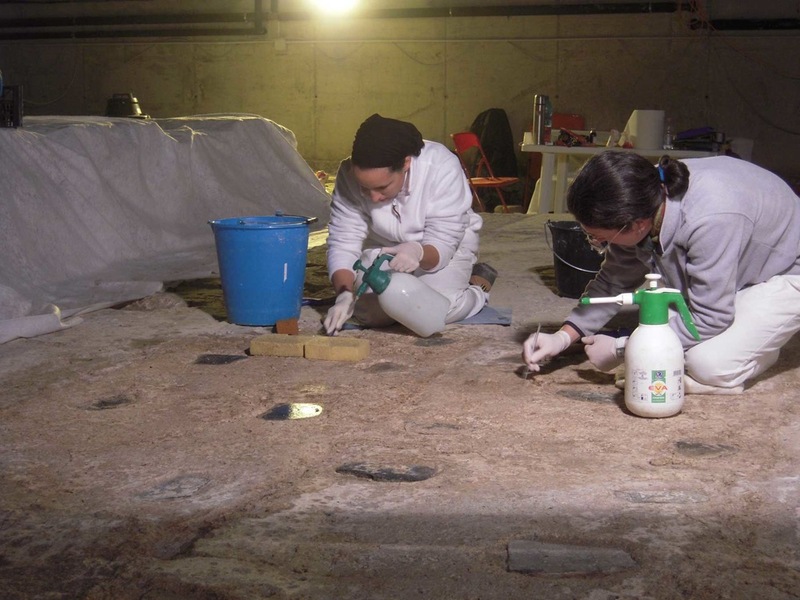 Se si sposta l’attenzione dai soggetti venerati agli oggetti di culto si evince che non esiste ad oggi un vero e proprio edificio sacro a Montegrotto, piuttosto vi sono indizi per riconoscere un santuario, attivo tra VII e III secolo a.C., portato in luce nell’area tra il Monte Castello e il Colle di San Pietro Montagnon. 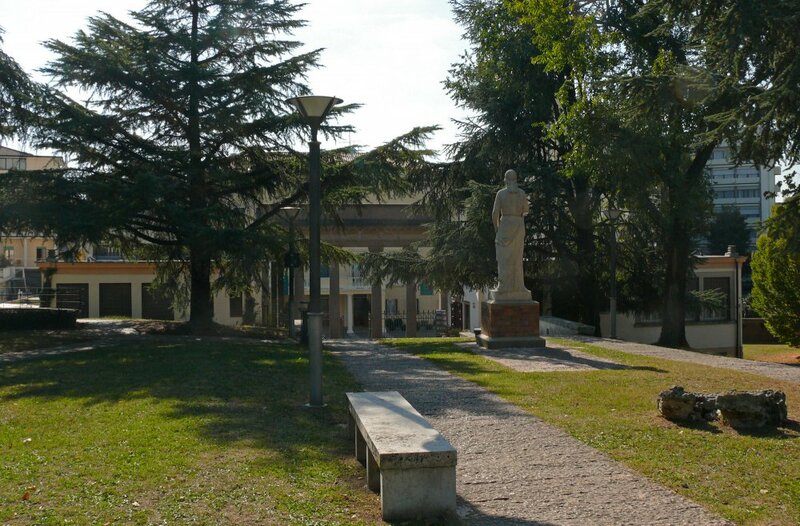 Per l’età romana, oltre a manufatti sporadici di tipo votivo scoperti occasionalmente anche nei dintorni della città, che potrebbero far ipotizzare forme di culto presso semplici sorgenti e/o nelle vicinanze di polle d’acqua, va ricordato che poco distante dal Colle Montirone venne individuato un deposito di vasi potori, che sono stati riferiti a un’area commerciale (“emporium”) probabilmente posta nelle vicinanze di un luogo di culto. 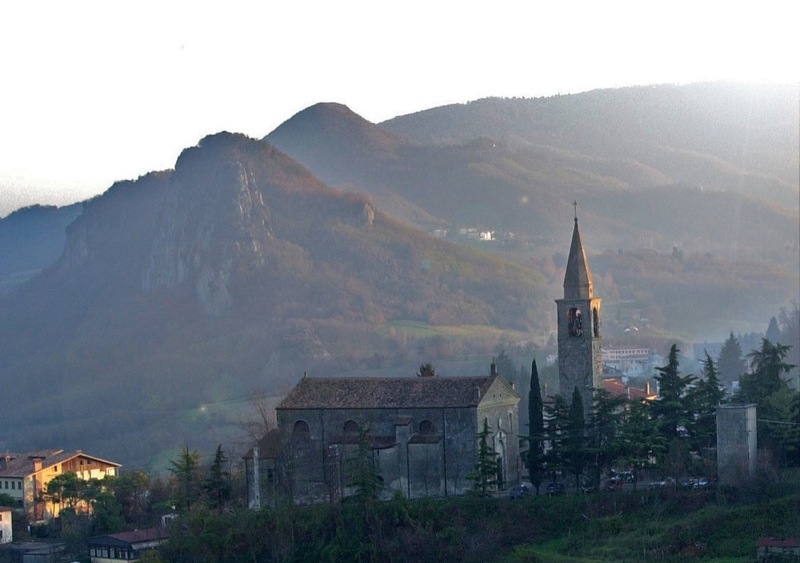 Un santuario sembra essere la struttura riportata in luce a Monteortone. Infine, non è possibile stabilire al momento se vadano effettivamente ricondotti a Montegrotto i diciassette esemplari bronzei interpretati come responsi oracolari di divinità (“sortes”), ora in gran parte dispersi, che furono pubblicati in età rinascimentale da Aldo Manuzio. Between 1826 and 1827 a large building was brought to light in the area "La Cazetta", in front of the modern Hotel Terme Neroniane. At the time it was interpreted as a temple, even if there is no evidence to confirm this reading. The epistyle of the architrave, consisting of four fragments in Euganean trachyte (now lost), had an inscription of a Julio-Claudian prince, maybe Tiberius himself. Another very fragmentary inscription in greek marble was always found the same area and could possibly be relevant to an augur or augustalis or even to an emperor. Therefore, there is no evidence to confidently recognize this place as a sacred area. Among the objects of worship, there are some artifacts of unknown origin, but which demonstrate forms of devotion to different gods. Two statuettes attributed to Harpocrates have particular relief. One of them was found in the Care Center area in Trieste property and is now preserved at the Eremitani Museum of Padua, the other came to light during the excavations made on behalf of Dondi dell’Orologio between 1781 and 1788 in the current archaeological area of viale Stazione/ via degli Scavi, within a thermal pool. 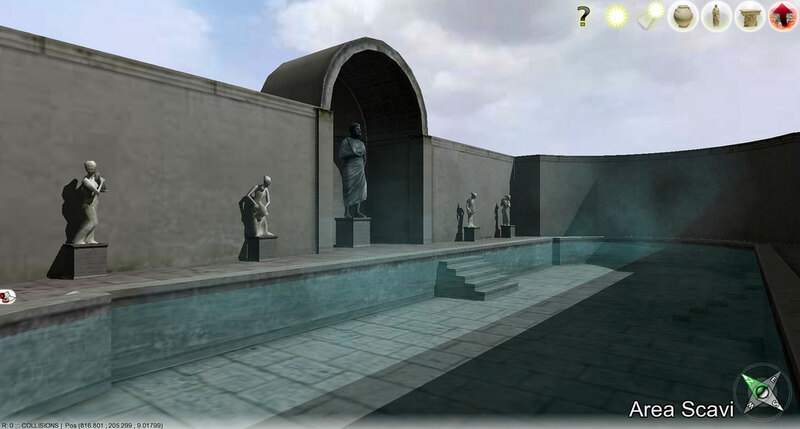 The first was recently interpreted as Asclepius, while the second, whose location is unknown to date, seems to belong more clearly to the thermal complex of viale Stazione/ via degli Scavi, the same context where the famous statue of the so-called Aesculapius, now at the National Archaeological Museum of Venice, emerged. In the same site the foot of a colossal statue reported by Salvatore Mandruzzato and an inscription of an Isiac priest were also found. A marble herm with Jupiter’s head, now in a private collection, was recovered in via Neroniana, near the hotel Zurich, while the exact place of the discovery of a small bronze, also depicting Jupiter and found in the Euganean territory is unknown. 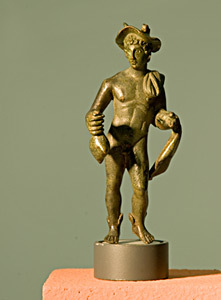 Even a statuette of Mercury, currently at the Eremitani Museum of Padua and perhaps belonging to a private space of worship comes from Abano. Finally, some anatomical "ex voto", many of which lost, were found occasionally in the countryside of Abano and Montegrotto: among them the feet preservedin the Civic Museum agli Eremitani of Padua stand out, since they seem more anatomical votive offerings than furniture holders. It is plausible to recognize in such artifacts forms of devotion to sacralized sources located in the surroundings of the main thermal center, where places of worship and votive deposits frequented by the population living in the countryside could be found. Numerous materials related to a place of worship, popular between the second half of the VII and the III century B.C. 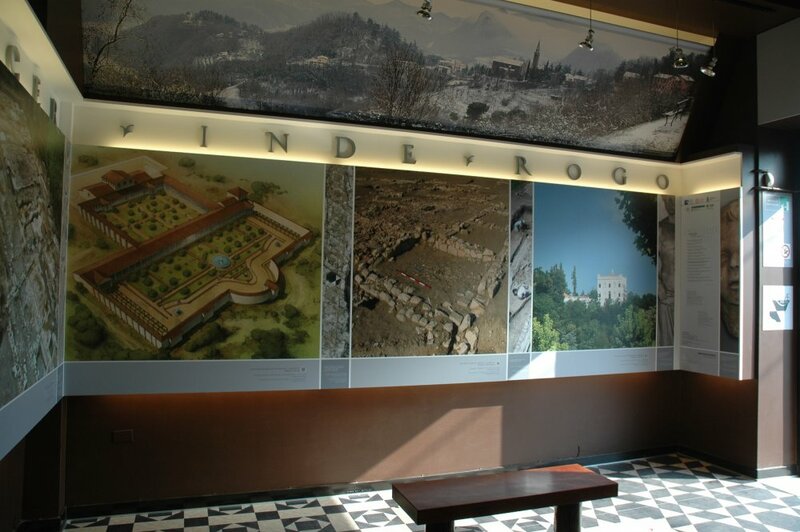 (Iron Age) were found in the area of theTerme Preistoriche hotel. 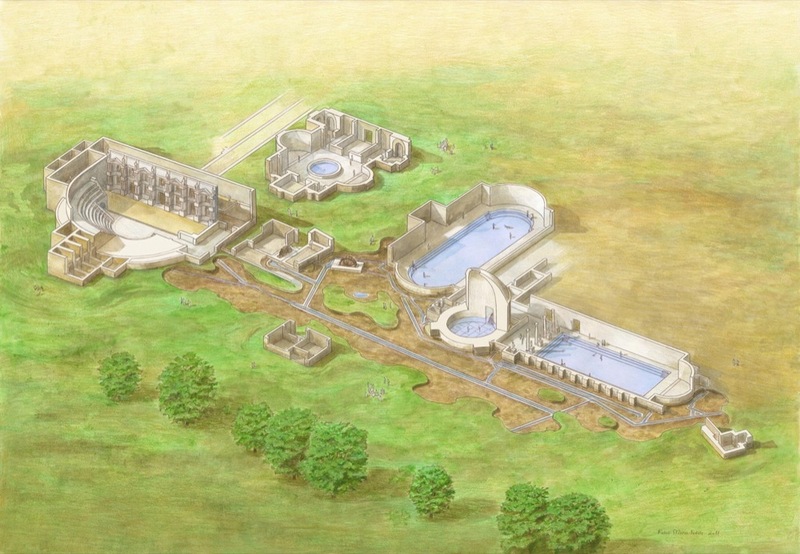 The cult area was centered around a water basin, now disappeared, supplied by surfacing pools of steaming water. Here, for centuries, devotees offered sacrifices to a god of the thermal waters, and laid miniature votive offers on the banks, such as ceramic pots and bronze figurines depicting mainly riders and horses. The term "sortes" conventionally refers to metal foils (or wooden tablets, but also pebbles or rods), on which sentences that contained advices of the oracular deity for the faithful were recorded. Sometimes their meaning was dark and not easily understandable and the priests of the sanctuary had the task to explain the concept hidden in them. An oracular seat linked to Geryon was well known in the Euganean area, as Suetonius tells, and this is the reason why the seventeen inscribed foils published by the humanist Aldo Manuzio the Younger in the sixteenth century were attributed to Abano-Montegrotto. According to the author they were found in Bahareno della Montagna, between Padua and Vicenza: a place which has not been identified so far. The real origin of such artifacts from this area therefore remains very problematic. They were made in bronze, had a rectangular shape and a hole on one of the two sidesin order to be hung, and presented common-sensesentences written in hexameters. Only three pieces are preserved today, and are located in the National Library of Paris and the Archaeological Museum of Florence. Credis quod deicunt? Non / sunt ita. Ne fore stultu(m). Do you believe in what people say? But it’s not so. Don’t be silly. De incerto certa ne fiant, / si sapis, caveas. If you are wise, mind not to come to certainty from the uncertain. Est equos perpulcher, sed tu / vehi non potes istoc. You have a beautiful horse, but you cannot ride it. [Mendaces] homines multi sunt: / credere noli. There are many liars: do not believe easily. Nunc me rogas?, nunc / consulis? Tempus abit iam. Do you ask now? Do you question me now? The right time is gone. Some finds, which were discovered at different times, are documented in the vicinity of the shrine between Monte Castello and the hill of San Pietro Montagnon. Moreover, some objects of worship including a ritual paddle, possible votive gift from a faithful to a deity, and an inscription that recalls a dedication to "Fons" or "Fortuna", depending on the interpretation of the letter "F", were recovered in the vicinity of the parish church of SS. Pietro and Eliseo in Montegrotto. Also, near the Hotel Vulcania, just before Piazza Roma, a bronze foil with a dedication to Vulcanus (now in a private collection) was found and, always from there, in a place not far from the sanctuary south of the actual Piazza Roma (seat of the town hall), a large Corinthian capital decorated with plant motifs, some lion heads of unknown origin and an inscribed molded altar were found. The text on the latter is, unfortunately, unreadable. Finally a votive bronze arm, presumably dedicated by a faithful in a request for healing, comes from the south-western slopes of the hill.